Bali Hotel To “Halfway” of the surf point within the range of foot, and many surfers like to stay in the hotel for demanding reasonable price. 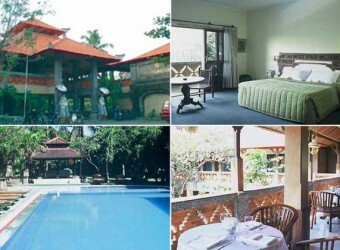 Bali Bangalo has the institution in the swimming pool and the restaurant, the tour counter, however, a guest room is large. The higher class Superior Room has the bathroom of the half outdoors that faced the courtyard. Good for Girls Trip The hotel faces to the main street of Seminyak, so it is the good access to shopping and restaurant!